You can take a girl out of Texas... but you can't take Texas out of the girl. Everything's bigger in Texas, including our hearts. Christine Karol Roberts has been an attorney in Newport Beach, California for years. But she got her illustrious professional start in Dallas. She sites Robert Dedman, Sr. as an inspiration and the person who encouraged her to attend SMU Dedman School of Law. While in Dallas, Roberts was a member of the Junior Group of the Dallas Symphony Orchestra, among other charitable groups. Even though she hasn't lived in Dallas for years, she still has many close friends here and supports local charities like the Cattle Baron's Ball. Roberts is also a children's book author and when she heard of the recent tragic shooting in Newton, Connecticut, she wanted to do something to help. So she contacted me to get the word out that she intends to donate 100% of of all Amazon, Barnes & Noble and Apple IBook store sales (through February 14, 2013) from her two children's books to the Sandy Hook School Support Fund in memory of affected families in Newtown, Connecticut. "I have been very fortunate over the years and am so saddened by the loss of the beautiful children in Newtown, Connecticut," Roberts told me. "I wanted to give back in some small way to their community and sending them 100% of the proceeds of my book sales through February 14, 2013 seemed like a natural. Since law is my primary business endeavor, my children's books were written out of love and the book sale revenue is not really of great import to me. If it can help their community it will mean so much more to me." 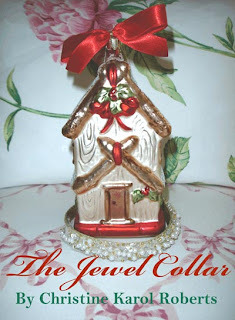 The Jewel Collar is the story of a Maltese dog, Aristotle, who moves from the family beach house to a new home shortly before Christmas so his Mommy, an attorney,can be closer to the Courthouse and train station. Ari is very sad, missing his garden friends. Ari decides to share the jewels on his Jewel Collar with new friends in the Floral Park garden. The lesson learned is you can make new friends in a new neighborhood without giving a gift and that sharing is the Christmas spirit and the spirit of true friendship. Ages 4-8. Hannah the Hummingbird is a children's picture book about Hannah,a member of the Garden Friends Club and her two babies, Hayley and Harry. Hannah builds her nest in Ari's garden, surrounded by the birds and animals, all members of the Garden Friends Club. 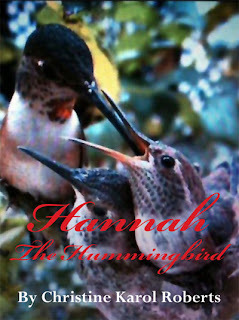 It is a charming story detailing the adventures of Hannah and her baby hummingbirds from hatch to first flight. Ages 4-8. Click on the book images to purchase either (or both!) of these books from Amazon. Again, 100% of sales (until February 14, 2013) will go to benefit the Sandy Hook School Support Fund.